Gozo, the second largest island of the Maltese archipelago, is situated some 6 km northwest of Malta, 80 km south of the nearest landfall in Sicily and 298 km north off the African coast. Gibraltar is 1836 km to the west and Alexandria, Egypt, 1519 km to the east. With an area of 67 sq km, it approximates in size Hong Kong Island. Its population has risen to almost 30,000, a fifth of whom lives in the capital Victoria, better known as Rabat. The island has been inhabited for the last 7000 years gaining a succession of different but related names. The earliest, from Punic times, is GWL (pronounced Gôl), a Phoenician word meaning a round ship, possibly in reference to the island’s shape from a distance. The island is locally known as Ghawdex (pronounced awdesh), a name that dates to the Arabic rule and used since the turn of the second millennium. The name “Gozo”, Castillian for joy, has been adopted since the Aragonese rule (1282-1530). 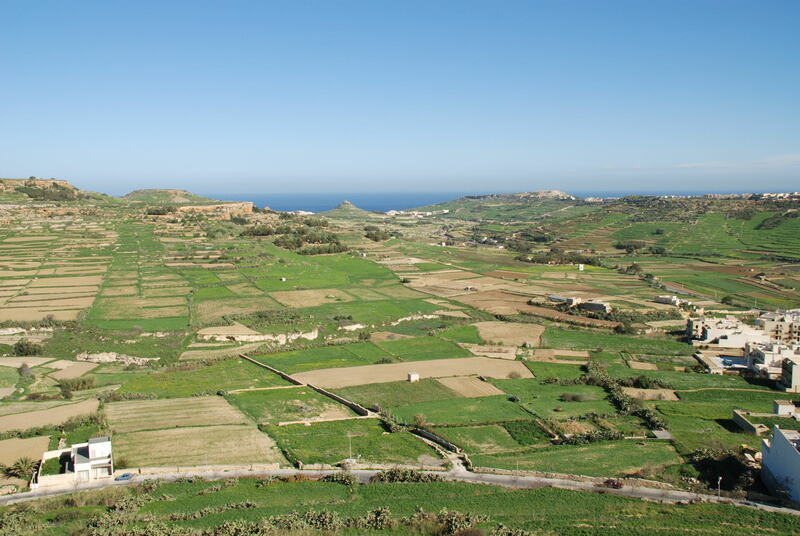 Though ruled from Malta from time immemorial, Gozo has had semi-autonomous governments several times in its history. It had its municipium minting its own coins in Roman times (218 BC - AD 535), and lately, between 1961 and 1973, it was administered by the Gozo Civic Council. Gozo also enjoyed a short period of autonomy between 28 October 1798 and 5 September 1800. The island is now governed like any other part of the Maltese Islands. The executive functions of the central Government are carried out through the Ministry for Gozo, established 14 May 1987. The island of Comino and the uninhabited islet of Cominotto are considered part of Gozo both for civil and religious purposes. Lying almost midway in the Gozo-Malta Channel, they cover an area of 2.8 sq km. Gozo and Comino, though part of Malta, remain essentially different with their own particular traditions and cultural variations.